Migration the US creates a lot of opportunities, but also bring challenges. Navigating the new social and cultural environment is not easy. Migrants need to adjust and address different problems in their daily lives, which causes stress and has implications for health. What does it mean to be Muslim immigrant in the US? How does Islamic religious identity and observance shape life trajectories of new countries’ residents? What are the health implications of Muslim immigrants, and specifically of Central Asian natives? The Global Mobility Graduate Research Grant gave me opportunity to address these questions by supporting my research in Chicago Metropolitan Area in September-November 2017. Scholarship on religion and health indicate that stress among Muslim immigrants is intensified by experiences of discrimination, which negatively affects mental health. While studies on migration and health investigate stress, less attention is paid to the cultural context in which stress and coping occur. My research addressed the meaning and role of religion as a mediator of stress and mental well-being among Central Asian Muslim immigrants in Chicago Metropolitan Area. My work explored religious practices of Central Asian natives and culturally embedded stress responses through an ethnographic analysis of respondents’ narratives, completed with biological indicators of well-being (blood pressure, weight and height as secondary biomarkers of stress response), as well as self-administered mental health. That allowed to capture lived experiences of new immigrants to understand whether practicing Central Asian migrants have a stronger sense of mental well-being in the new social environment. 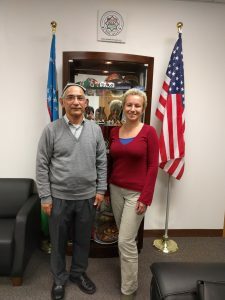 During my time in Chicago, I conducted 5 informal expert interviews, 31 semi-structured interviews, as well as observations at mosques, Central Asian community gatherings and other social activities. 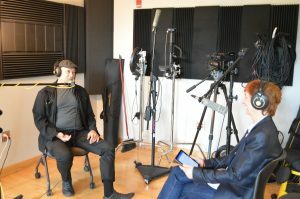 The experts interviewed for this project included Central Asian community leaders and activists, academics at different universities of Chicago, as well as members of Muslim community centers. While data analysis is in progress, some preliminary findings emerge. The influence of Islam differed between Central Asian immigrants due to the history of the region, development of Islamic communities and the secular pressures exerted by the Soviet Union and post-Soviet independence. While navigating new social environment, many informants became more religious during their stay in the US. Central Asians benefited from resources of Muslim communities, and settled in Chicago neighborhoods around other established Muslim groups. Connections with Turkish communities were of major importance. 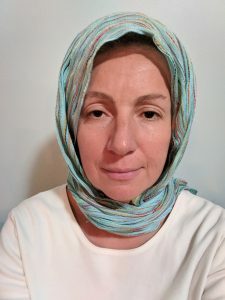 Central Asians were mainly not perceived as Muslims in their daily lives due to phenotype and lack of visual markers of religiosity (head scarf or beard). Practicing Muslims did not experience more discrimination than secular immigrants, unless they have visual markers of religious affiliation (head scarf or a beard). Major stressors producing adverse mental health outcomes were not religion-based. These stressors included migration-related factors such as insecurity, documentary status and work-related concerns. Recent immigrants (less than 3 years) had highest level of distress, which was likely to level up with the longer period of stay in the US. 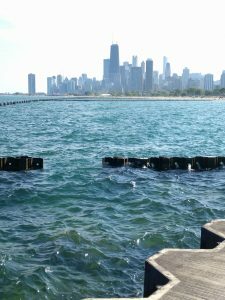 A view of Chicago from Lakefront. This study pointed at a negative association between religiosity and mental health disorders. Religion buffered stress, and moderated negative health implications among Central Asian immigrants by providing meaning and hope. At the same time, Islamic religious identity did not help Central Asian immigrants to bridge their way to mainstream American society. Visual markers of Muslim religious identity informed stress around experiences of marginalization and discrimination. 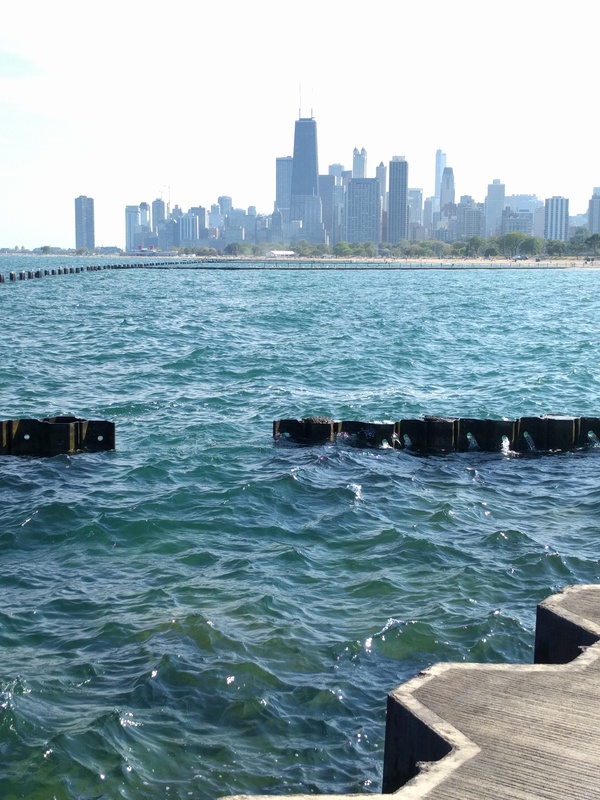 Providing comfort as well as resources, Muslim identity informed segmented assimilation (Portes and Zhou, 1993) trajectories for Central Asian immigrants in Chicago Metropolitan Area. Culturally embedded and gendered stress responses, stigma around mental health disorders, as well as structural barriers to accessing health care services left mental health problems among Central Asian immigrants unaddressed. Chronic stress linked to migration and marginalization in the new country might severe immigrants’ health and lead to development of chronic diseases in the future. 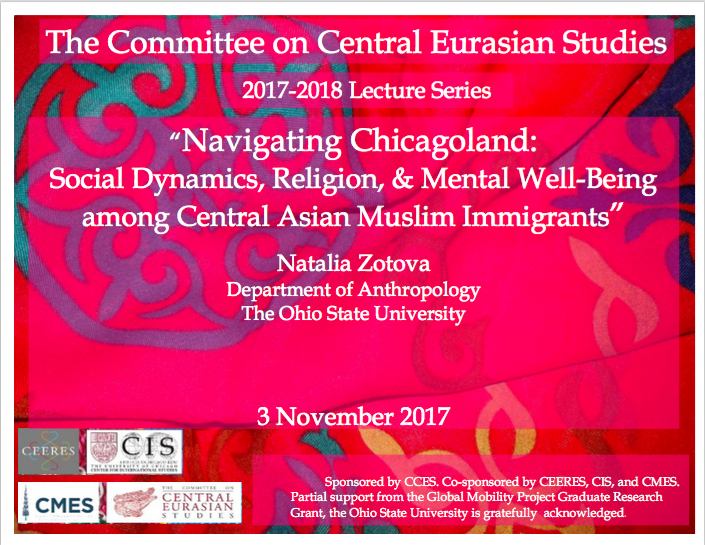 Natalia Zotova gives a talk at the University of Chicago. I was invited to share this projects’ preliminary findings and give a talk at the University of Chicago. 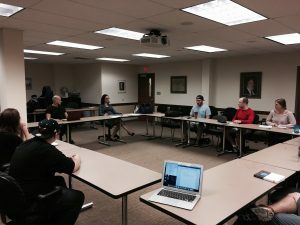 The talk was sponsored by the Committee on Central Eurasian Studies, and brought together faculty, graduate and undergraduate students, as well as guests from Central Asian communities. Aiming to give back to Central Asian communities that I studied, I made a presentation on my experiences and findings at the Uzbek American Association of Chicago. I gratefully acknowledge support from the Global Mobility Project, which allowed me to conduct fruitful research. 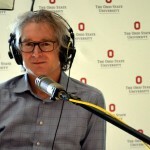 The Global Mobility Project Podcast invites scholars from the Humanities and Arts to discuss their research about migration and mobility. The episodes are available on iTunes or by clicking on the links below. 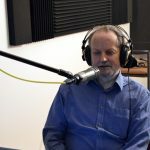 Episode 4: A Chat with Tomislav Longinovic – On Monday, October 9, Yana Hashamova sat down with Tomislav Longinovic to discuss the migration of refugees through the Slavic route. They also discussed how migrants make a new home in their destination countries. 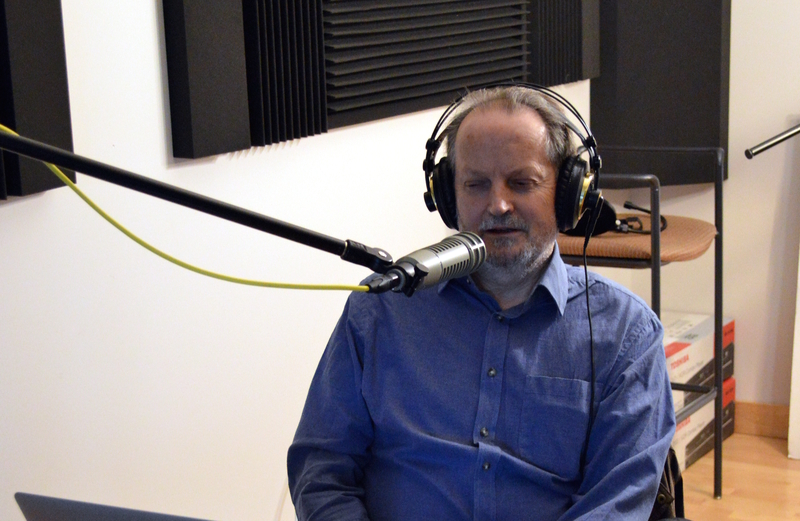 Episode 3: A Chat with Peter Gatrell – On Tuesday, January 24, 2017, Dr. Theodora Dragostinova sat down with Dr. Peter Gatrell, Professor of History at Manchester University, to have a chat about migration, immigration, and repatriation in Europe. In the discussion, Dr. Gatrell discusses the value that arts and humanities can have in discussing and understanding migration, as well as what happens when citizens relocate because of war or economic reasons and then return to their home country. 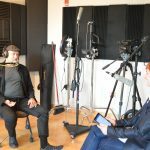 Episode 2: A Chat with Ulf Brunnbauer – On Tuesday, November 14, 2016, Dr. Theodora Dragostinova sat down with Dr. Ulf Brunnbauer, Professor of History of Southeast and Eastern Europe at the University of Regensburg, to have a chat about the other side of the migration debate, emigration and immigration in Europe. In the discussion, Dr. Brunnbauer discusses his work on the social history of the Balkans in the 19th and 20th centuries with a special emphasis in the historical genealogy and migration history. 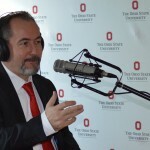 Episode 1: A Chat with Ibrahim Sirkeci – On October 24, 2016, Dr. Jeffrey Cohen sat down with Dr. Ibrahim Sirkeci, Ria Professor of Transnational Studies and Marketing Regent’s University London, to discuss Turkey’s migrants and migrants from Turkey. They also discussed the role of the arts and humanities in addressing the global challenges of migration, what it means to leave home, and how communities accept newcomers. 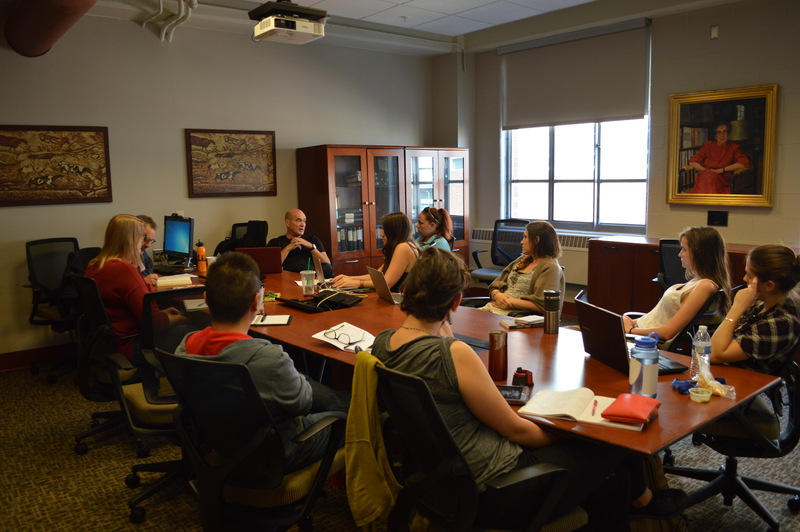 On October 10, 2017, Professor Tomislav Longinovic visited Dr. Cohen’s Anthropology 7805: Human Mobility: The Anthropology of Migration. 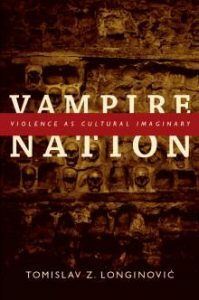 In preparation for the visit, the students read Longinovic’s Vampire Nation: Violence as Cultural Imaginary. The discussion meandered through a variety of themes from popular culture, mythology, and politics. Through the book, Longinovic explores the vampire as a metaphor, “pointing to the Gothic associations of violence, blood, and soil in the writings of many intellectuals and politicians during the 1990s, especially in portrayals by the U.S.-led Western media of ‘the serbs’ as a vampire nation, a bloodsucking parasite on the edge of European civilization” (Longinovic). The class discussion began with a question about how refugees are treated in Serbia. While on the surface this question is simple, it actually has some deep cultural ties. First, some Serbians feel solidarity with refugees because they would also like to move to one of Europe’s wealthier countries. Second, stories of exile are written into the culture and thus tie into national identity. Finally, there are Biblical and mythological overtones at play: one must be hospitable because one never knows who the guest really is. Next, the students discussed how the vampire myth ties into nationalism. Vampirism is the perfect metaphor for nationalism because it is the past consuming the future. The vampire does not consume the old and enfeebled; he eats the young, the healthy, and the intelligent. The vampire further exemplifies nationalism because of his ties to blood and soil. Myths of vampires spring up along the zones of cultural transition, the borders, where there is ethnic mixing – people who are not one or the other. As the class concluded, we discussed how portrayals of vampires have changed over time. Early vampires are dust and dead bodies. It wasn’t until they were aestheticized by the Gothic imagination that they transformed into something attractive and graceful. Today, there is the “vegan” vampire (ex. Louis from Interview with the Vampire, Angel from Buffy the Vampire Slayer, Edward from Twilight), a vampire of remarkable beauty who can live indefinitely but who drinks from humans begrudgingly. 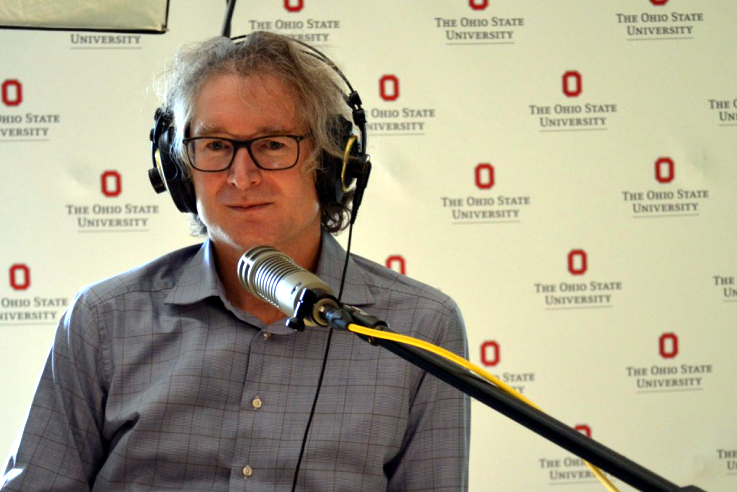 The Global Mobility Project at Ohio State (#GlobalMobilityOSU) funded by the Humanities and Arts Discovery Theme invites applications for our grants programs for research and creative work on the topic of global mobility. We shall consider research and creative project proposals on all aspects of mobility and migration, regardless of geographical, historical, or thematic focus. This semester, we are offering undergraduate/faculty mentorship grants (in collaboration with the Office of Undergraduate Research). Our next deadline for Undergraduate/Faculty Mentor Grants is November 13, 2017. 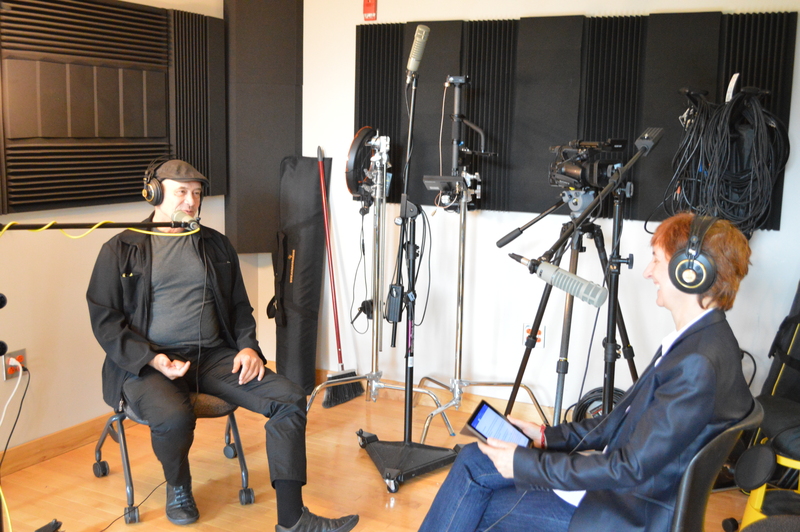 On Monday, October 9, Yana Hashamova sat down with Tomislav Longinovic to discuss the migration of refugees through the Slavic route. They also discussed how migrants make a new home in their destination countries. You can listen to the episode below or listen on iTunes. Writer’s Project papers, specifically interviews of former slaves completed during the late 1930s. Further, I was able to access secondary literature on both folktales and American slavery. In doing so, I completed the primary background research I needed to begin developing and writing my research paper on the migration of black mythology this fall. Professor Stephanie Shaw, my research advisor, also was able to come to D.C. and work with me for a few days thanks to the Global Mobility Project grant. My research focuses on the mythology presented in many of these interviews. Hundreds of accounts detail the folktales that slaves grew up hearing in their communities. These folk stories reflect aspects of the larger development of African American culture, as well as how it evolved from the forced migrations of Africans to America and subsequent movement of African American slaves from the Upper-South to the Lower South and Southwest as slavery expanded across the United States. As people voluntarily leave a place or are involuntarily uprooted from their homelands, whether for economic, social political or environmental reasons, they bring their cultural heritage with them. Consequently, where these stories were continuously told and how they were adapted speaks to the survival of African culture in the diaspora as well as the development of African American culture. Specifically, this research seeks to explore the mythology that traveled with these individuals. A group of these stories focused on the initial capture, the transportation (across the Atlantic), the enslavement, and any subsequent relocations they endured. These stories also focused on deception and power. The deception usually involved having been lured to a slave ship by the display of certain trinkets. Over time and across space, however, these stories changed and evolved based on new circumstances. They not only have survived the forced, transatlantic journey from Africa, but gained new significance and were readapted for new purposes within the United States. My research this summer, working directly with these narratives, laid the groundwork for this project. 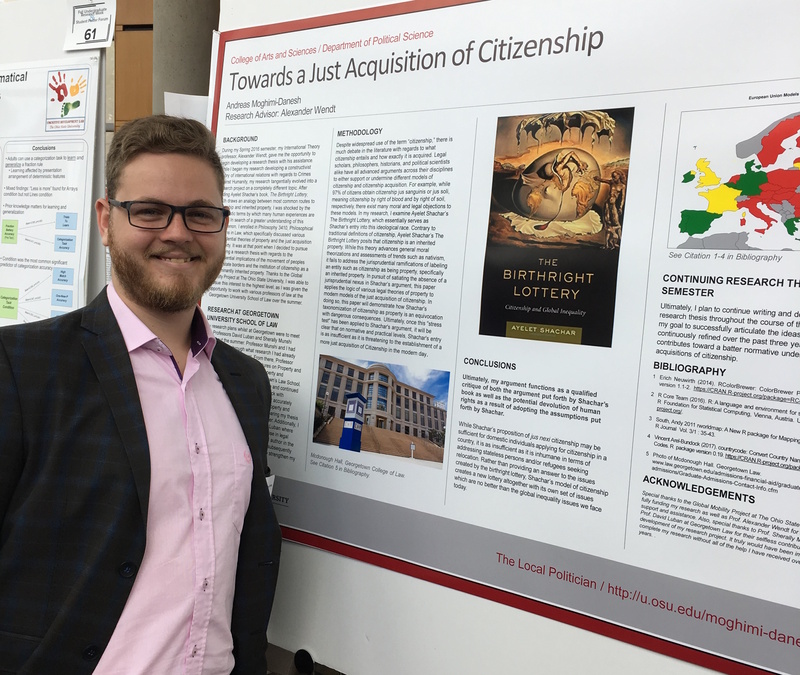 In September, I was fortunate to be able to present my research thus far at the Fall Denman Poster Forum. I am also applying to present my research at the AHA annual meeting in January, which would be an incredible opportunity to share my research with scholars. I am taking five credit hours in order to continue to develop my research into a paper. Ultimately, myproject will provide a more complete understanding of both the significance of African American folklore and how the international slave trade and subsequent migrations of slaves in the U.S. influenced black mythology across time, oceans, and continents. On Wednesday, October 11, I joined Dr. Dragostinova’s History 4650 class. 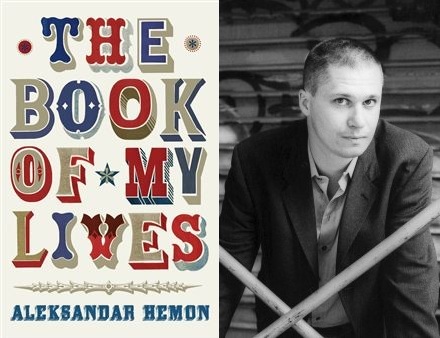 On this day, the class was visited by Tomislav Longinovic (University of Wisconsin), Scholar-in-Residence for The Global Mobility Project, to discuss Aleksandar Hemon’s The Book of My Lives. Both Longinovic and Hemon were born in Yugoslavia and watched from the United States as their homeland dissolved into war. The students, Longinovic, and Dragostinova touched on many themes in their discussion. 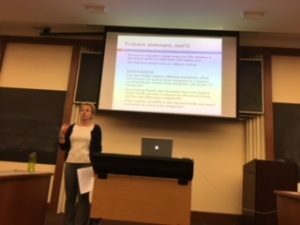 After briefly explaining Longinovic’s personal journey to America, they discussed the value of memoir in providing a unique personal narrative that offers context to statistics and cold data that come along with global mobility and immigration. This book provided the unique perspective of describing the experience of war vicariously through friends, family, and through the television screen. Next, they discussed the atmosphere of Yugoslavia prior to the war. Following World War II, Yugoslavia was set up as a federation of six republics: Bosnia and Herzegovina, Croatia, Macedonia, Montenegro, Serbia, and Slovenia. Two autonomous provinces were established within Serbia: Vojvodina and Kosovo. In the 1950s, Josip Broz Tito, Prime Minister of Yugoslavia (1953-1963) and later President for Life (1963-1980), was ejected from the communist block by Stalin. Unlike Stalin, he believed that politics should not dictate aesthetics, and thus abandoned socialist realism which demanded that all writers and painters followed certain guidelines. Yugoslavia allowed writers to write whatever they wanted. Also in contrast to other countries in the Communist bloc, uncensored American movies were permitted, presenting audiences with additional perspectives. In the 1960s, joint ownership of companies allowed foreign capital into Yugoslavia. This and other economic reforms led to high unemployment forcing workers to leave the country to find other employment opportunities, leading to student demonstrations in 1968. Throughout the following decades, revolution continued on the margins and became mainstream. Young people were trying to present alternatives to Communism. It was part of the youth subculture that moved as the culture changed. These youths, took political symbols and played with them out of a desire to provoke without necessarily thinking about the consequences of toying with such powerful symbols. One example was the band Laibach, an avant-garde music group which was part of the Neue Slowenische Kunst (NSK) collective. Following Tito’s death in 1980, federal government was left unable to cope with economic and political challenges, including increasing nationalism and a demand for more autonomy by the republics within Yugoslavia. In the early 1990s, Yugoslavia broke up along its republics’ borders leading to increased ethnic tensions and the Yugoslav Wars. For both Hamon and Longinovic, watching the war from a distance took an emotional toll. Footage from the war-torn country showed areas that should have been familiar but were left unrecognizable. Ultimately, reading the account from Hamon and hearing the experience of Longinovic demonstrated how the past and present can meld together into multiple lives. As a sophomore in Spring of 2016, I was given the opportunity to begin developing an undergraduate research thesis with the assistance of Professor Alexander Wendt. While I began my research developing a constructivist theory of international relations with regards to Crimes Against Humanity, my research tangentially evolved into a research project on a completely different topic. After reading Ayalete Shachar’s book, The Birthright Lottery, which draws an analogy between most common routes to citizenship and inherited property, I was shocked by the economistic legal terms by which many human experiences are dictated. In search of a greater understanding of this phenomenon, I enrolled in Philosophy 3410, Philosophical Problems in Law, which specifically discussed various jurisprudential theories of property and the just acquisition of property. It was at that point when I decided to pursue developing a research thesis with regards to the jurisprudential implications of the movement of peoples across state borders and the institution of citizenship as a predominantly inherited property. Thanks to the Global Mobility Project at The Ohio State University, I was able to pursue this interest to the highest level, as I was given the opportunity to travel to Washington, D.C. and work with various professors of law at the Georgetown University School of Law over the summer. My work with Professors Munshi and Luban not only gave me a wonderful opportunity to connect with two experts in the field, but also provided me invaluable advice and guidance in furthering my research aspirations. 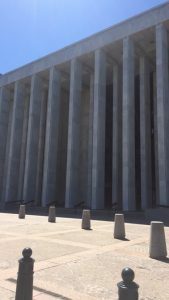 Additionally, throughout meetings with these law school professors, I had the opportunity to ask them all about their experiences with law school as well as my career goals of working in immigration and citizenship law. 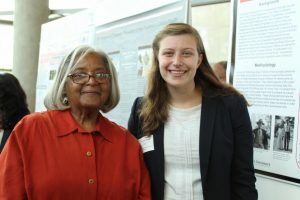 Again, I cannot begin to sufficiently express my gratitude to the Global Mobility Project as well as Professor Theodora Dragostinova, who connected me with the Global Mobility Project, for allowing me such an amazing opportunity to further my research and career goals. The influx of hundreds of thousands of refugees from the Middle East into Europe has challenged the existing notion of national boundaries and demonstrated an increased need for a public policy that would take into account problems arising from the forced movement of population on such a large scale. Media reporting of the crisis focuses on the plight of miserable migrants who are using Macedonia, Serbia, Croatia, Slovenia and Hungary as transition points to reach the wealthier countries in Europe. Needless to say, countries comprising the European Union have had vastly differing responses to the issue of national boundaries and their permeability in the ongoing migration crisis. This paper uses the innovative methodology of cultural translation to analyze this phenomenon by calling for a new understanding of trauma, space and identity in the Balkans in particular and Europe in general. Translation is understood here not only as a practice that transfers meaning in the narrow linguistic sense of the word, but also as the process by which broader social and political formations are carried over from one culture to another. Or, as the eminent Spanish language translator Gregory Rabassa said: “Every act of communication is an act of translation.” As global subjectivity becomes increasingly dominated by communication across languages and cultures, as well as between geographical and virtual spaces, the universe emerging among the interacting economies is characterized by processes of translation that alter the simplified imaginary perceptions of “others” that are currently built into the cultural unconscious of particular national imaginaries.